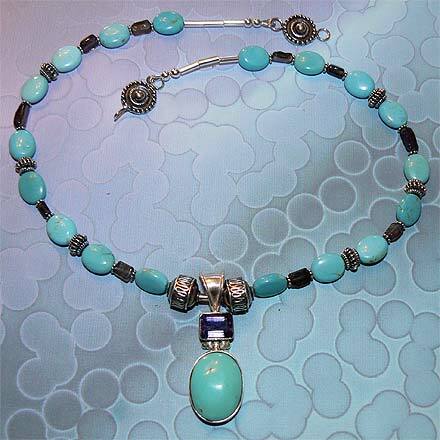 Sterling Silver Turquoise and Iolite Necklace. See Closeup. 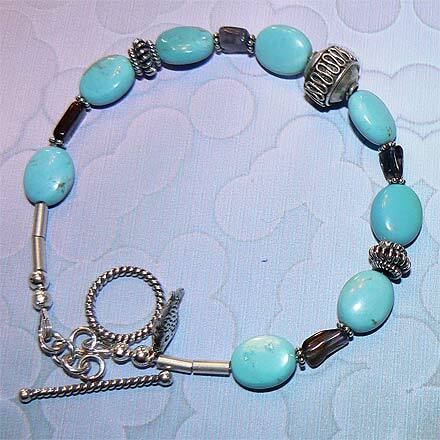 Sterling Silver Turquoise and Iolite Bracelet. 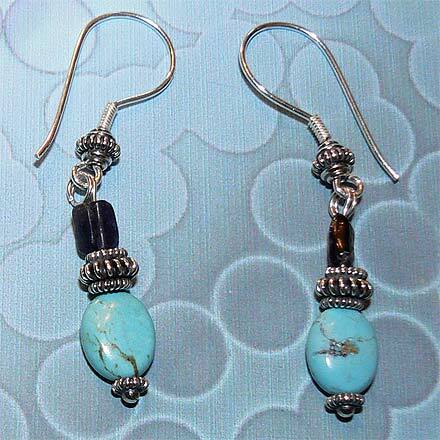 Sterling Silver Turquoise and Iolite Earrings. 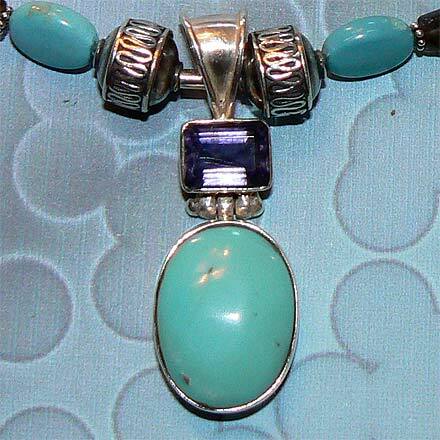 Pretty Robin's Egg Blue oval-shaped Turquoise beads highlighted with small Iolite rectangle chunks.